﻿ What makes Wellness Industry a Favourable Hub for Investments? The wellness industry is transforming at a rapid pace. With many changes happening in it, the market is getting stronger. The industry is being looked upon as the Trillion dollar industry all because it is growing and expanding at a large rate. Investments in the industry are helping it to grow further and experiment in order to innovate new ways to improve the lifestyles of the people. There are various factors that have contributed in developing the interest of the investors in the wellness industry. The era of digitisation has helped industries to adopt new methods for existing techniques and ways. This has not only helped the industry to explore new dimensions but has also given it the power to be available to the consumers easily. Every industry right now is embracing digitisation as it is the ladder which gives easy and wide access to the consumers of wellness spread worldwide. Various forms to connect with the consumers, such as advertisements, have made good use of digitisation and has led to the exploration of a wide network. With the wellness industry going digital and bringing in more new technologies and innovations, the future looks quite promising for investors to invest their money in it. The Indian wellness industry has a vast ocean of opportunities. The Indian brands are having the time of their lives with wellness industry welcoming success and growth which benefits all. Foreign brands have understood and detected the worth of the Indian wellness industry and are flying in to invest their money in either the existing brands or establishing themselves to be good enough for the Indian consumers. The expanding market has attracted a good number of foreign brands in every segment of the wellness industry. Be it beauty, fitness, organic or any other segment, the power of the wellness industry has brought in many good foreign brands to cater to the Indian consumers’ needs. What will be an industry without trends and innovations? Everyone knows the importance of new trends and innovations in an industry. The wellness industry is full of new trends and each trend brings with it a wave of doing something unique. Trends and innovations keep an industry moving ahead as they help in maintaining the interest of the consumers as well as establish investments which are great for the industry. Hrithik Roshan has inked a Rs. 100 crore deal with Cure.fit. Vivek Oberoi has bought the majority stake in the wellness based company, Skylimit. Abraaj Group, a Dubai-based private equity investment firm, is in advanced discussions to acquire a controlling stake in South India’s leading diagnostics services provider Medall Healthcare Pvt Ltd, at an enterprise value of around Rs 1,500 crore (US$ 225 million). Japanese financial services firm Orix Corp. is in talks to buy a minority stake in Bengaluru-based fertility clinic chain Nova IVI Fertility, from the company’s promoters and existing private equity investors for Rs 250-300 crore (US$ 37.5-45 million). Max Healthcare, a healthcare institute based in New Delhi, has plans to invest Rs 320 crore (US$ 48 million) to build a cancer care hospital in Delhi, being a part of Max's larger plan to develop its hospital in Saket. Today we see an increasing trend for a healthier and fitter lifestyle leading to a drastic change in the eating habits of individuals. This particular phenomenon has given a sharp rise in the demand for consumption of residue free vegetables and fruits. Since the new age parents are quite health conscious, the practice of consuming safer and chemical free foods is likely to be adopted by the future generations. This would eventually contribute to the larger wellness industry in India which currently is forecasted by FICCI and EY to grow by 12% and reach a record high of 1.3trillion dollars by the fiscal year 2020. Naturally, this is a lucrative time to invest in the very promising wellness and fitness industry and that is what will attract investment and growth for this sector in India, says Nilesh Palresha Executive Director, VTP Group. The wellness industry is a lucrative sector that covers up beauty, fitness, health care, Ayurveda and many others. Investments in the wellness market do yield good profits as it is continuously growing. 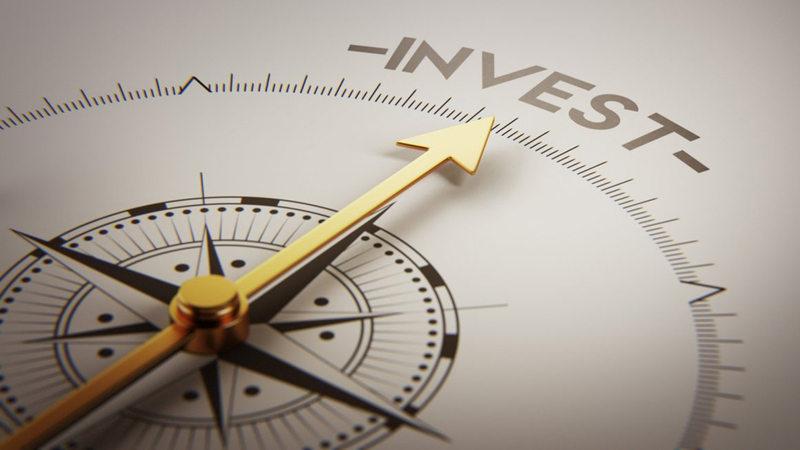 Many investments have taken place till now as it looks promising and the investors find it attractive enough to put in their money. The expansion of the industry and various big names investing in different segments gives clear signs as to why it is being expected to be the next trillion dollar industry. With new concepts evolving in it and various major investments taking place, stay tuned to know more about it.